for first time DSLR users. With the ability to capture 3.5fps, the EOS 450D is great for fast moving subjects while new features such as live view and continuous shooting on self-timer offer more creative control for the user. 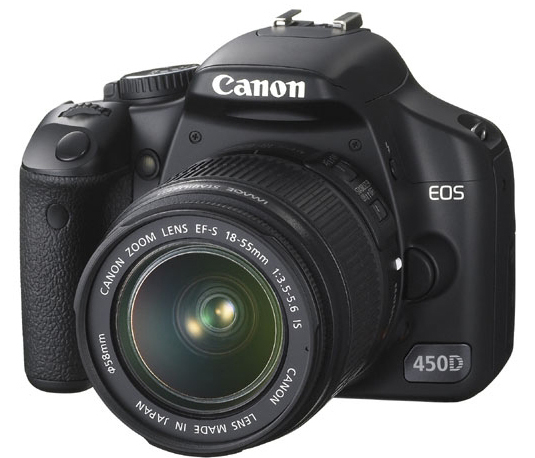 The new compact and lightweight design combined with the new SD card slot make the EOS 450D ideal for developing photographers moving up from their digital compact camera. real time on the huge 3.0" LCD monitor.